MommyCraftsAlot: Magical Unicorn poop cookies? WHAT?! I tried the Magical Unicorn Poop cookies that I keep seeing on Pinterest. The pictures are all so BRIGHT and COLORFUL and well it's Unicorn Poop....That's funny and somewhat magical, right? I'm leaning more towards the FUNNY side ;) I wanted to make the kids giggle. Mine turned out flat as in PANCAKE flat. I even tried different methods. NOPE, all turned out flat. The kids said they looked like PlayDoh. 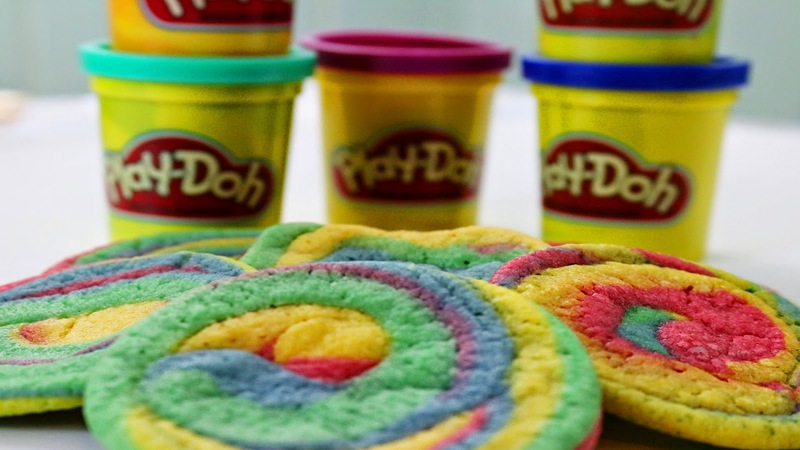 We shall call these "Play Doh" cookies then. Join me next Wednesday as I try yet another "Pinterest" project.